Fringe is a science fiction television series that follows the exploits of an FBI Fringe Division team based in Boston, Massachusetts. 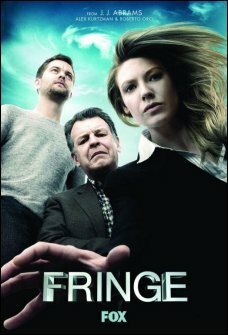 The team consists of FBI special agent Olivia Dunham (Anna Torv), former government researcher and mad scientist Walter Bishop (John Noble), and Dr. Bishop's son Peter Bishop (Joshua Carter Jackson). The team investigates aspects of "fringe" science, or science that borders on the level of the supernatural. The team investigates cases involving rare diseases, chimeras, transhumans with psychic abilities, teleportation, and so on. 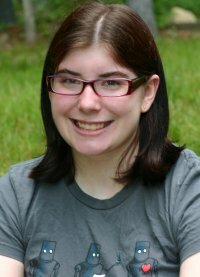 The series was co-created by J. J. Abrams (who also co-created Alias and Lost), Alex Kurtzman, and Roberto Orci. Season 2 of Fringe starts off with a Bang! or, more specifically, a crash. A man regains consciousness after it appears he has been caught up in a devastating car cash involving his car and a black SUV. He immediately runs from the scene of the accident and into a nearby apartment building. He kills the first person he comes across and then uses a mysterious contraption to reconstruct his body to look like the man he had killed. But who was driving the black SUV? Why, none other than Olivia Dunham, of course. But if she was in the car during the crash, why can't the officials find her body? From what I saw in the first episode, this season of Fringe looks promising. As Peter Bishop says, instead of investigating an unnatural phenomenon after it's killed someone, "we'll be calling the shots now." The story line is fast paced and unpredictable. I found myself frantically holding my breath at one point, then jumping up in excitement the next, only to be scratching my head at the end. 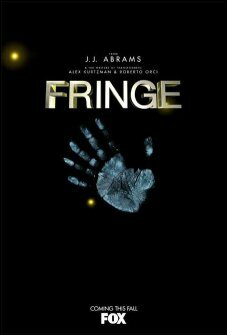 Fringe is a very complicated show, from Olivia's body being thrown from her car window out of nowhere to typewriters using mirrors to send messages to other realities. I have only seen maybe half of the episodes in the first season, so even I don't know what skeletons are hiding in which characters' closets. As a result, new viewers will probably have a hard time figuring out what the heck is going on. Like, why does Dr. Bishop have a cow in his laboratory? Thankfully, it looks like the show will be adding a new FBI agent, Amy Jessup (played by Meghan Markle), so new viewers might not be the only ones confused by the show's strange nuances. I, however, have been hooked (if only for the fact that I love Dr. Bishop's character). I'm probably going to have to scavenge some old season one episodes on Hulu to try and figure out what I've missed, but I'm definitely going to be intently waiting for new episodes to come out. I give Fringe 4 stars (of a possible 5).